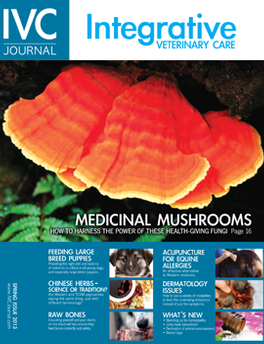 IVC Journal bridges the gap between the worlds of allopathic and holistic veterinary care. Thousands of veterinarians and vet technicians are interested in ways to enhance their practice and integrative health is what their clients are asking for. IVC Journal discusses market trends in health treatments, new product features, industry news, leading modalities, nutrition education as well as Tech Talk focused on keeping vet technicians on top of alternatives and opportunities within the veterinary industry. Be the first person to tell us what you think about IVC Journal Integrative Veterinary Care Journal and you'll save £2.50 on your next purchase!